I have a sweet tooth, it is no secret. I love pretty much anything with sugar and fat (which might explain the 30 lbs I've already gained this pregnancy). Sometimes though, I just don't have the ingredients on hand to make something sweet. So, I love recipes that can be made with just a few ingredients. 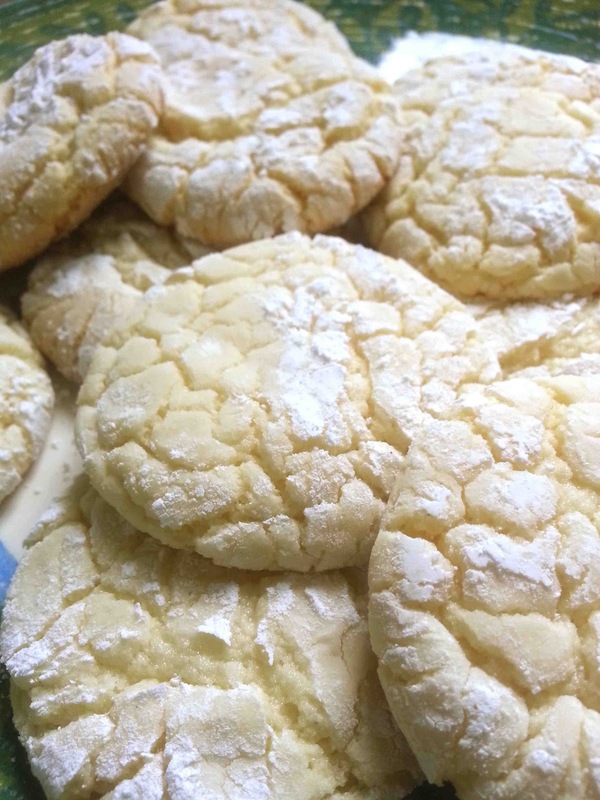 Cake mix cookies are one of those things. Today I mixed up a batch of these cookies so that my husband would have something to throw in his lunch tomorrow. They mix up so quickly, and don't require any extras. Cake mix, oil, and eggs. Pretty basic. Mix cake mix, oil, eggs, and vanilla in a mixing bowl. Using an electric mixer, mix on medium speed until combined. The dough will be soft and a bit sticky. If overly sticky, and flour 1 tbs at a time. Form 1" balls and roll in powdered sugar. 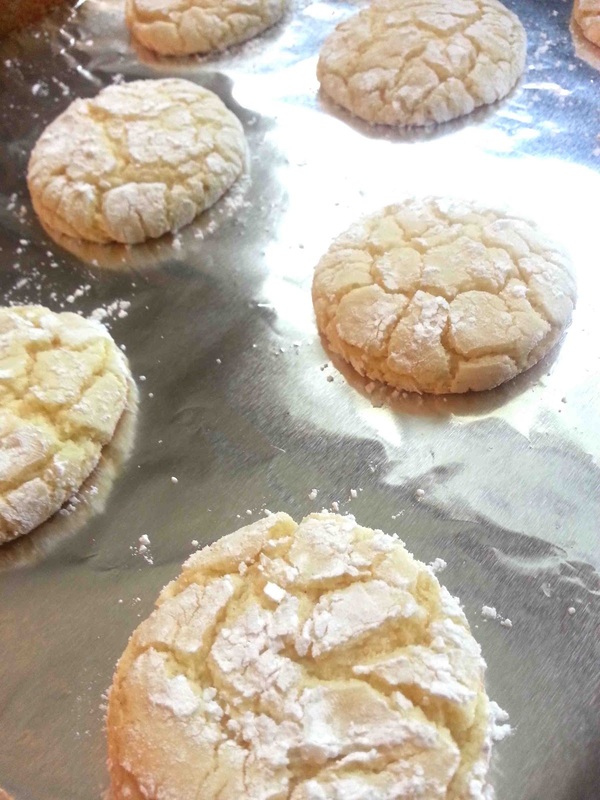 Place on parchment lined cookie sheets. Bake for 10-12 minutes. These cookies are nice and soft on the inside. They really are delightful, even though they aren't filled with all of the extras. I've even had success with Betty Crocker's Gluten Free cake mix. 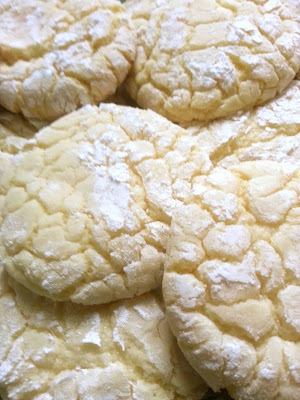 You can find their recipe for gluten free cake mix cookies on their website. Also, you can use any flavor of cake mix: red velvet, devils food cake, etc. Do you have a favorite simple recipe? Do share. Clever. And usually I have a cake mix on hand. Thanks for sharing! 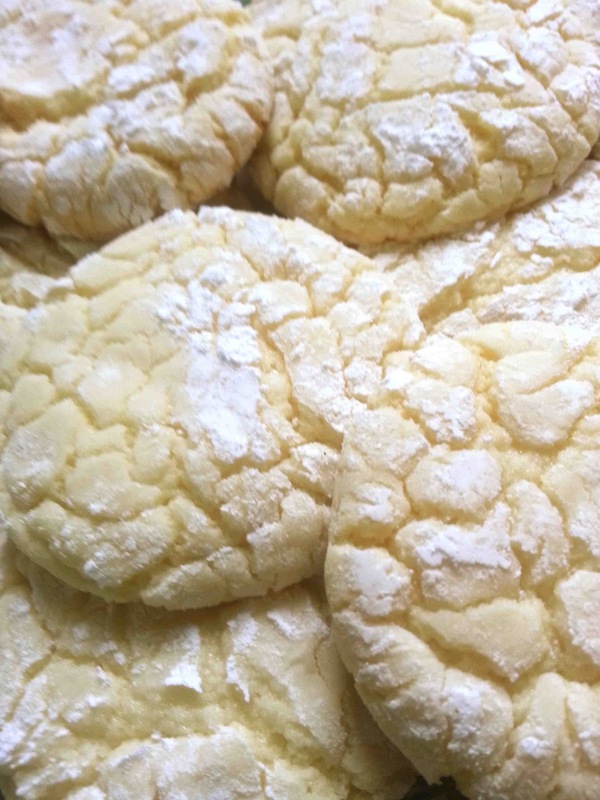 Made these cookies a couple of weeks ago. Ended up having to add close to 5 tablespoons of flour. Turned out very soft and delicious. Thanks! I just made these today. Had a cookie craving and didn't have any flour BUT I had a cake mix! These hit the spot! So good! I have a delima with the cake mix cookies, they were great but the did not flatten out. I used coconut moist cake mix, I added about a cup of coconut flakes, I rolled them in powdered sugar & cooked for 12 mins. The came out great but the looked like the wedding cookies. Can you help me I don't know what I did wrong. I plan on making more and don't want this to happen again. Great recipe. I have lots of ideas. Lizzy 12/6/14.Thank you for your help.